Since 1996, I have sold over two dozen novels to traditional publishers who handled the editing, proofreading, formatting, packaging, distribution, and at times some promotion, too. Since 2011, I have also self-published seven books in the romantic-mystery and nonfiction genres, which means I handled, or retained services for, all those same tasks. Before you hand over your hard-earned money to any publishing service, ask ahead of time for three or four recommendations from writer-friends or check qualified resources, such as Preditors and Editors. Also, publishing attorney Susan Spann (@SusanSpann) offers insightful publishing tips and warnings on Twitter. Let’s start with a look at the editing process. In general, a developmental editor helps shape a story; a copyeditor fine-tunes the story by correcting grammar, smoothing out syntax and so on; and a proofreader reads through the book to catch any errors before it goes into production. With my first indie novel I skipped the proofreader step, figuring my background as a technical editor meant I could edit my own writing. Ha! After readers contacted me with typos they found, I humbly corrected them and forwarded my book to a professional proofreader. The Blood-Red Pencil Check the Meet the Blogging Team page for more information about editing services. Judicious Revisions, LLC Proofreading services for indie authors, specializing in romance genre. (Also, one of the nicest, most diligent proofreaders I've ever worked with). Moonshell Books, Inc. Award-winning author Shelley Bates offers copyediting services to independent authors. The “Other editors and resources” page lists additional developmental editors and copyeditors. As the old saying goes, first impressions count! Invest in potential readers’ first impressions of your book by hiring a professional graphic designer. 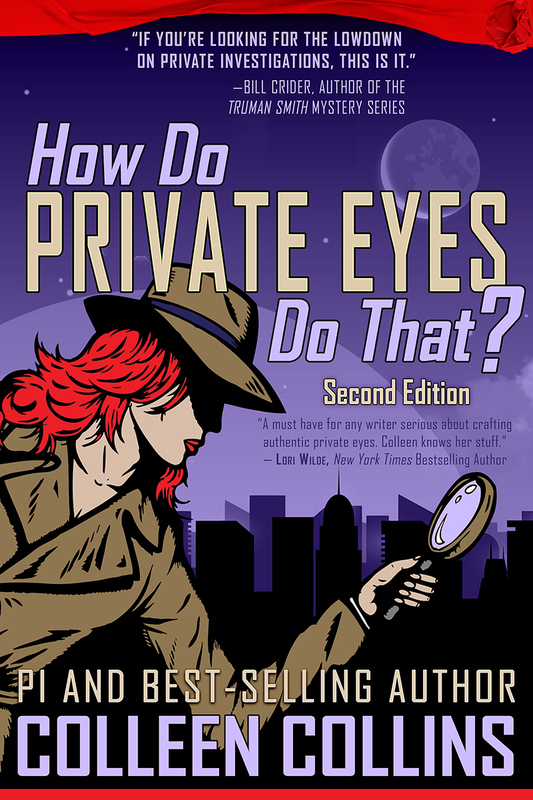 For my first nonfiction book, How Do Private Eyes Do That?, I decided to save money and create my own cover. Let’s just say some people have design talents, but not yours truly. Recently, I hired talented graphic designer Kim Killion to create a new and vastly improved cover for the second edition, to be released August 2016. Before and after thumbnail versions, below (mine on left, Killion’s in middle). 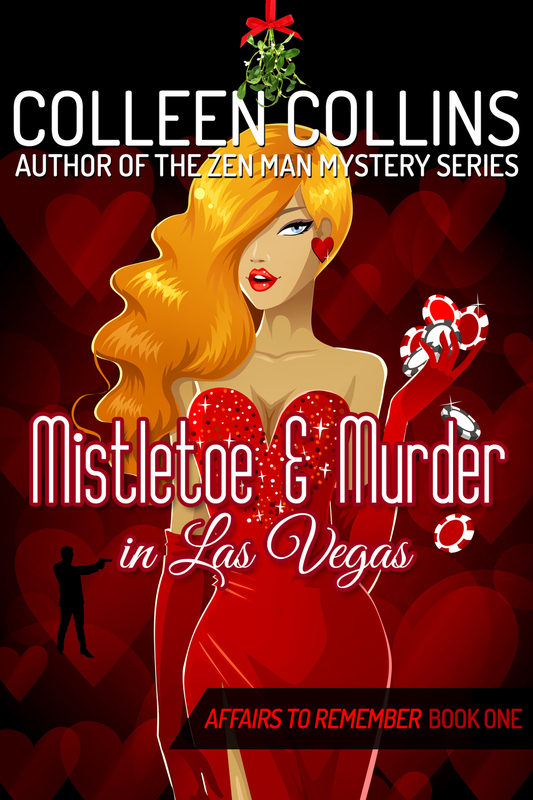 The cover on the right, Mistletoe and Murder in Las Vegas, was created by another of my favorite graphic designers, Dave Fymbo of Limelight Book Covers. I used to pay for third-party formatting services, but for the past three years I've been spoiled by using Vellum, available for Mac OS X 10.9 or newer. The creators of Vellum are former Pixar film software gurus who bring their knowledge, expertise, and creativity to Vellum. The product is intuitive to use, with real-time previews of how the book will look in a variety of formats (such as Kindle, Nook, and others). Being former Pixar guys, they know how to make graphics look amazing, too. I've also saved a heap of money using Vellum—for example, one third-party formatting company (recommended by Amazon) charged me $450.00 to format a nonfiction book, claiming the sticker-shock price was due to the number of graphics and links I had in the book. Having been a technical editor for years, I can certainly understand how much time it takes to double-check links & graphics, but the book didn't have that many links and graphics, which was around 45,000 words (novella-sized). Below is a screen shot of a page in Vellum, pre-generated ebook. When I switched to Vellum, I re-formatted that same book in less than a day for $10.00, minus my time. Even adding my time, the cost was way less than what that third-party formatting company had charged. Last time I spoke to one of the Vellum creators, the company doesn't have plans to make a PC version. If you're a PC user, once again I suggest asking other writer-friends for their recommendations. Self-publishing inevitably includes book promotion. I recently read a wonderful self-published murder-mystery that a friend loaned me. When I looked up the book on Amazon, it had only 3 reviews! Excellent reviews, but I was surprised there were so few. The ranking of the book was 1,427,618, which is very low. What a shame the author didn't invest more time and money into promoting her book because she wrote a very entertaining, well-written story, which unfortunately isn't getting the attention it deserves. For my first indie novel, I paid $200 for a book blog tour that never materialized. I count myself lucky as some writers have lost much more money to bogus/ineffectual promotion services. How did I lose $200? I didn't get 3 or 4 recommendations ahead of time; instead, I selected the first service I found. I tried to use common sense—the business owner was a multi-published author so I figured that person had the right background; the website was appealing...but I should have done my homework and asked for more recommendations. Tasty Book Tours specializes in the romance genre (which includes the subgenres romantic suspense, romantic mystery, and so forth). Self-Publishing Review named it one of the top 10 book tours. Lisa Filipe, the owner, is one of my favorite people in "the book biz." When I sign up for one of her promo tours, I know the book is in excellent hands. BookBub isn’t cheap, but book promotions reach a vast audience. It's not always easy to get your book accepted, but when it is, you'll enjoy the benefits. My romantic-mystery The Zen Man, which I gave away for free via BookBub, got thousands of downloads...and over 100 reviews on Amazon. Kindle Nation Daily offers pay-for services similar to BookBub, but the options are in general less costly. Just like BookBub, Kindle Nation Daily submissions pass an editorial review for appropriateness, but their guidelines for acceptance aren't as stringent as BookBub, plus you meet the people behind the scene at Kindle Nation Daily (BookBub is more mysterious in that way). My personal experience has been that I usually get 25% (at least) more downloads at BookBub vs. Kindle Nation Daily, but the latter is friendlier, nicer, even easier to work with. Colleen Collins is a private investigator and award-winning, multi-published author in the romance, mystery, and nonfiction genres. Her next release is How Do Private Eyes Do That? (Second Edition), August 2016.